Readings not clear? Controls stiff or jerky? Patient’s feedback uncertain? If so, a servicing requirement of one or more of your instruments is indicated. Most instruments need servicing annually or biennially and checking every six months. The Optrep full service includes a full strip-down in order to clean mechanical parts, relubricate with correct lubricants, make repairs, compensate for wear and play if necessary, check electrics, clean optics, reassemble, adjust, realign, calibrate (to relevant ISO standards or better) and test. At Optrep, we service focimeters (lensmeters), ophthalmoscopes, retinoscopes, refractor heads (phoroptors), slit lamps, keratometers, etc. etc. Optrep is now one of the few companies servicing refractor heads and we carry out servicing for other companies. 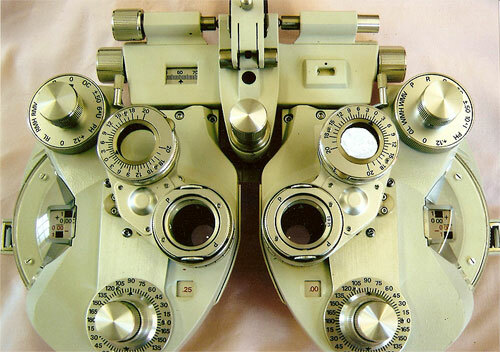 Many optometrists think an old instrument has come to the end of its life and it is left to gather dust in a cupboard or drawer. An example of this is the much-loved Keeler ‘Specialist’ ophthalmoscope with which so many optometrists trained. Optrep have had much success in restoring the ‘Specialist’ so why not save yourself a great deal of money, if you have one, and have it restored? The same story is often repeated with other types of instrument and you may well be surprised at what mechanical and optical repairs can be made. The main stumbling block these days is the lack of electronic spares for the earlier (sometimes only 8 years old) electro-optical and automatic instruments but, even here, it is worth asking. Thorough servicing can only be carried in the workshop. 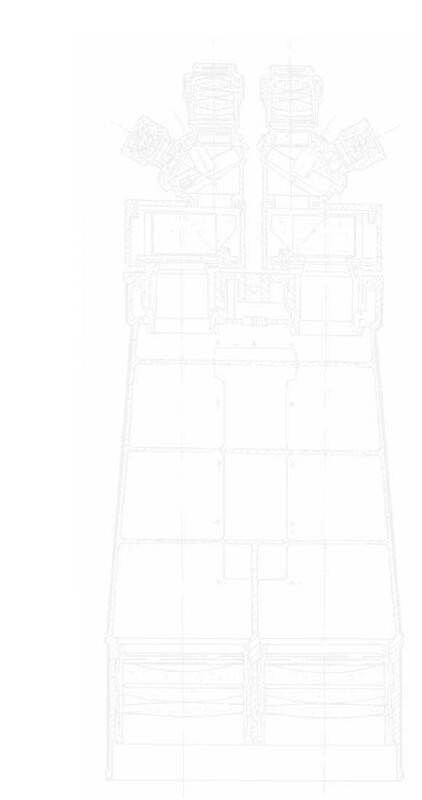 A typical refractor head or phoroptor (this one based on the original American Optical pattern), as serviced by Optrep. The earlier Greens’ type can also be serviced. 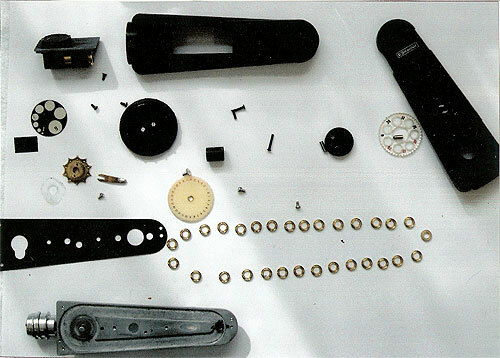 A Keeler ‘Specialist’ ophthalmoscope, partially dismantled. Although one of the earliest designs, this instrument is still much-loved by optometrists and, because it was so well made, it is suitable for restoration by Optrep in virtually every case. Apart from a straightforward overhaul, we can also fit new mirrors, replace worn-out brass escapement gear, etc and restore the lighting system to full brightness. Rechargeable handles: Sometimes, a new rechargeable battery is no longer available. In this case, we can usually convert the handle to run on common dry batteries (e.g: Duracell LR14). We are in need of old, unwanted ophthalmoscopes and retinoscopes that are beyond repair because this is one of our sources of spare parts. Their donation will be very much appreciated.